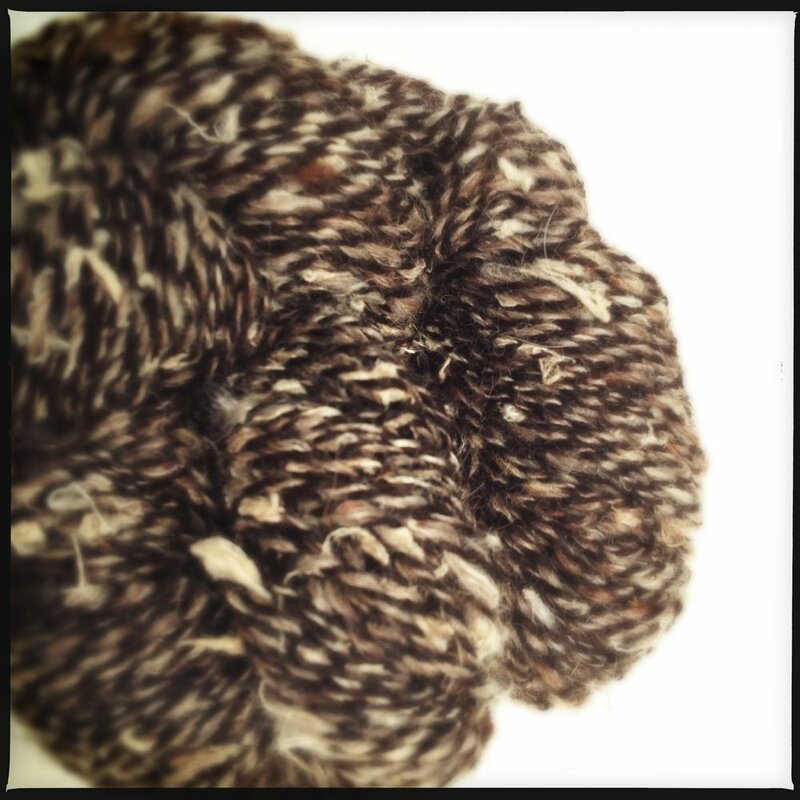 Character, Wabi, quirkiness: these are characteristics I embrace rather than dismiss in my yarn. I seek individual beauty that presents itself continually in my yarns. I love surprises. I think that is one characteristic that draws me to natural dyeing. It is not exactly repeatable. I try to enhance the differences that can occur. To some, a holiday in dyeing experience is a flaw. I seek it. I enhance the possibility of holidays much like ikat. For me a holiday and irregular color are like clouds and shadows. When you knit with this yarn, you are knitting in clouds and shadows that float through your work. I blend fibers for their different qualities. Each individual fiber takes up color differently. Some are flat color, some illuminated color. Some subtle, some more intense. It is this combination of so many colors that make the final illusion of a color.... much like the many colors of a cloud that let you think it is white. After ten years of wood firing ceramics in an anagama kiln, I learned to embrace subtle beauty, surprise, and working with a natural process rather than trying to control it. Even thinking I can control my world is an absurd thought. Livestock, color, even the rain. It is a silly thing to try to fight and control. Where would we be without curiosity and surprise?